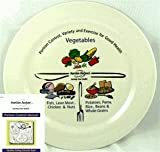 The USDA is replacing the Food Pyramid used for the last two decades as the food representation guide with an easier to understand plate designed to encourage healthy eating. Since 1992 the United States has used a food pyramid to explain the types an amounts of foods that people should be eating. In 2005 the USDA (U.S. Department Of Agriculture) released the revised version of the pyramid, MyPyramid.gov which was considered by many experts as hard to understand. 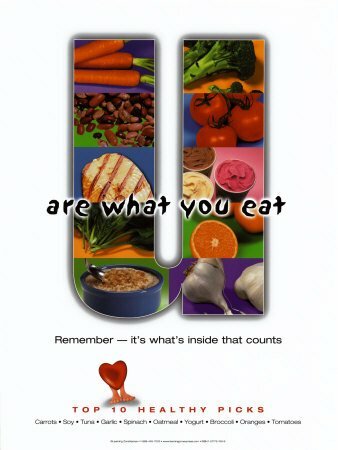 In 2010 the White House's child obesity task force called for a food icon to help consumers make healthy food choices. A food plate, used by other countries as their food guide, will replace the food pyramid. The USDA with Michele Obama unveiled the new Food Plate. The Food Plate replaces the old Food Pyramid as a quick and easy way to teach people what to eat and how to eat healthier. 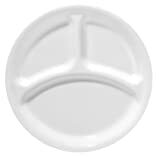 The Official website for the new plate icon, MyPlate. In April 2005, the USDA released the new, revised MyPyramid food guidance system. It was designed and promoted to help Americans make healthy food choices and to be more active every day. This was the pyramid included in the textbook and the pyramid taught to students and educators for the past 6 years. This was the pyramid that I have been teaching to my college students and students in my daughters classrooms. MyPyramid.gov website has provided all of the latest news, information and resources for the USDA food guidance system (the pyramid). They have also provided a variety of free resources available for educating students, patients and clients about eating healthier. The White House's child obesity task force called for a food icon to help consumers make healthy food choices. As a result of this report, the USDA will be revealing the new food icon (a plate) replacing MyPyramid.gov as the government's main food group symbol. The official website for the USDA's MyPyramid.gov (it is likely to be changing to something else soon). The Healthy Eating Pyramid, built by the faculty in the Department of Nutrition at the Harvard School of Public Health, is an alternative the the USDA's pyramid. It is is a simple, trustworthy guide to choosing a healthy diet. "It’s going to be hard not to do better than the current pyramid, which basically conveys no useful information." In June 2011 the Department of Agriculture introduced the new food icon, MyPlate.gov as a new food guide. MyPlate materials, posters, pins, stickers, magnets and bookmarks that can be used when teaching nutrition. Find links to free, downloadable and printable MyPlate coloring pages. What do you think about the Change in the Food Pyramid? Let's keep the Food Pyramid. Oh no, I was all ready to say the Plate Method until I saw how much room was for Vegetables. I'm OK with the Pyramid. Change is good, especially with the Food pyramid. Thank you! The plate method makes so much more sense to me. I like the plate, but I was ok with the pyramid too, not the vertical one though. The vertical pyramid makes no sense to me (I liked the horizontally-divided one) while the plate is very descriptive and relates to - a dinner plate! Looks like an obvious improvement to me. The Obama administration is about to ditch the food pyramid, that symbol of healthy eating for the last two decades. In its place officials are dishing up a simple, plate-shaped symbol, sliced into wedges for the basic food groups and half-filled with fruits and vegetables. For the last two decades the federal government has used the Food Pyramid as the basis for good nutritional advice, which never told people how much of which types of foods they should eat. The food pyramid is giving way to a simple, plate-shaped icon, which is sliced into portions for basic food groups - fruits and vegetables take up half the space. Pyramid versus Plate: What Should the USDA's Food Chart Look Like? Nutritionist Marion Nestle explains why the new dietary model should help Americans understand how to eat better--and how it could be better. The federal government is scrapping the nearly 20-year-old food pyramid and replacing it with a new icon designed to more easily depict a healthy diet. As of this coming Thursday, the food pyramid -- that symbol of healthy eating -- is going to go the way of the real pyramids and becoming a thing of the past. This week, the Obama administration will be unveiling a new graphic to tell American consumers what quantities of grains, fruits and vegetables, protein and dairy they should eat to maintain a healthy diet. The U.S. Department of Agriculture (USDA) says the replacement for the Food Pyramid will be announced on June 2 - and that the new icon heralds a "monumental effort" to improve America's health. The U.S. Department of Agriculture is planning to swap in a plate icon for the food pyramid this week, an individual familiar with the new guidelines told CNN Saturday. The nearly 20-year-old representation of a healthy diet is about to give way to a new symbol: on Thursday, the U.S. Department of Agriculture unveils its replacement for the food pyramid. The Plate Method was originally developed to teach diabetic patients how much they should be eating from different food categories. It has become a succcessful way of teaching other people, even children about eating foods in different categories. The Plate Method is the one that I have used for the past 5 years when teaching children in my daughters classrooms. I've taught children ranging from 1st through 5th grade about using the plate method when thinking about eating. Even though the Nutrition textbook for the college course in nutrition teaches the food pyramid, for the last few years I've also used the Plate Method as a quick way to teach college students an easy way to understand how much to eat. I've included an example of the handout that I use and a copy of the handout as a PDF file for those interested in downloading to use in classroom settings. The plate method is an easier way than the old pyramid to teach children and adults, about what to eat and how much to eat. Using the plate method will help you eat healthier. Healthy Eating with "The Plate Method"
I like the simple idea - it brings quite a lot of knowledge in an understandable way. However, I noticed, even if you know exactly what's good for you, it's not necessarily easy to get it! E.g. whole grain food is either hard to get in the US or it's really expensive. The same goes for a lot of healthy food: In contrast to fast food, it's not only harder to get, but usually it's way too expensive. My girlfriend and me were traveling through California/Arizona/Utah last year, and despite we know what we like to eat, it proved to be quite difficult *for us* to find it. Cheers and thanks for the interesting article! It has been really quick and easy to teach to kids. I am working on getting another page up on the Plate Method. Keep watching for a new article. Incredibly informative and written with an obvious passion for your subject - really found it interesting thank you. Great article! I like the decorative portion plates, too.